Sat & Sun 10 - 5, and is located in Mathews Park, West Avenue, just off of I-95, Exit 15s and 14n in Norwalk, Connecticut in affluent Fairfield County, a suburb of NYC next to Westchester County. Hosted with the support of The Center for Contemporary Printmaking, Stepping Stones Museum, Mathews Mansion Museum and The Norwalk Parks Department, this Art Festival will be a premier cultural event in the area. 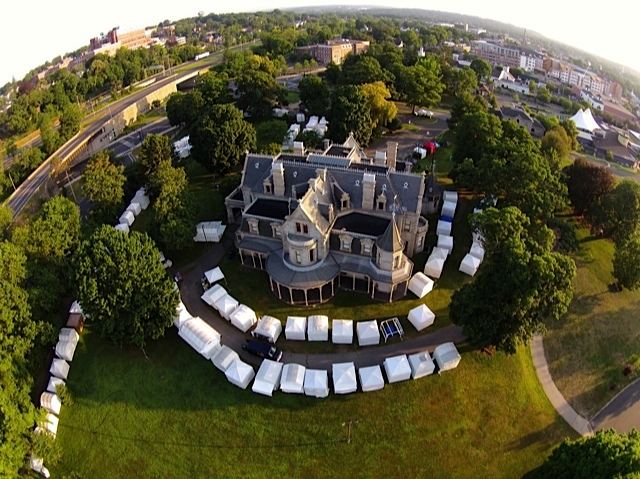 The artists will be the focus of this two-day festival located in a beautiful park setting nestled between 2 Museums and a nationally recognized Art Center as well as the Connecticut Visitors Bureau. This juried fine art and fine craft festival will have some performing artists as well as a tempting international food court. The event features a high quality arts experience for both the visitors as well as the artists. Applications are available at Gordonfinearts.org. There is are many special events for children and adults through the weekend long event. Jerry's Artarama and the Norwalk Arts Commission host a free hands-on art experience at the Children's Art Workshop area. There is a community mural project and plenty of art supplies to inspire artists of all ages. Bring your talents and enjoy. The Lockwood Mathews Mansion Museum will give mini-tours for a reduced rate of $5, this will be through-out the weekend. The Center for Contemporary Printmaking will be open for their annual Foot Print show and sale. Saturday 10 - 5 and Sunday hours 12 - 5. Stop in and see artists with works in progress and enjoy a beautiful show of mIniature prints as well. 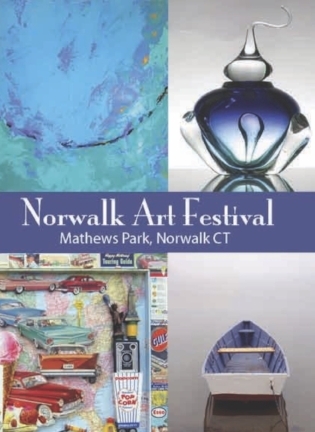 The Norwalk Art Festival features the works of 125 juried artists from local to national talent. They will exhibit a wide variety of media including, photography, drawing, ceramics, jewelry, painting, mixed media, printmaking, fiber, metal sculpture and glass. All of the works exhibited are for sale and original artwork is made available in a wide variety of price ranges. There is something for every taste and budget at this beautiful annual arts event. Come get inspired at the Norwalk Art Festival in Mathews Park! Parking is easy and located in the park and across the street. If you prefer, take the train to the metro-North South Norwalk station or park in one of SoNo's many garages and take the river side stroll through Oyster Shell Park to Mathews Park. Sue Brown Gordon, of Gordon Fine Arts, is the Festival Director of this event and brings over 25 years experience both as a Festival Director and a full time exhibiting artist. She is currently the Festival Director for the Bruce Museum shows in Greenwich, CT as well as the Stamford Art Festival and the Saratoga Arts Celebration. For more information visit Gordonfinearts.org or NorwalkArtFestival.org. There are also many Volunteer opportunities if you enjoy working with Artists and the community.